THE RUTLES: THE RUTLES: 1978: 4 1/2 STARS OUT OF 5 STARS: The soundtrack to the telemovie- All You Need It Cash– spoofing The Beatles. I saw the ‘movie’ on tv and was delighted when I saw there was a soundtrack. The movie was great fun- George Harrison appeared in it as a reporter. John Lennon loved the film. The music is a lot of fun and the album came with a booklet inside like the Magical Mystery Tour did. The sequel movie was ok but the first one was the best. Ron-Stig- Dirk and Barry- The Rutles! 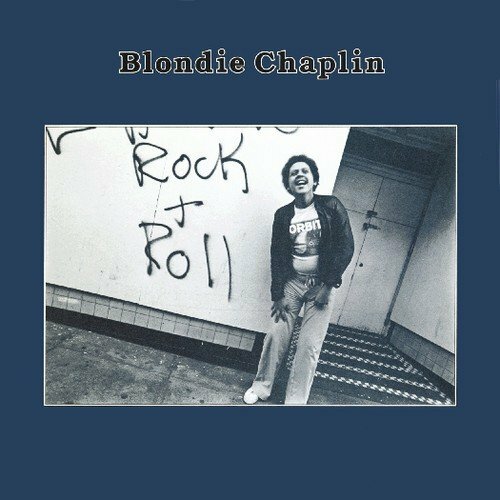 BLONDIE CHAPLIN: BLONDIE CHAPLIN: 1977: 3 1/2 STARS OUT OF 5 STARS: Known for his stint with The Beach Boys in the early 70’s- he sang “Sail On, Sailor” and most recently with The Rolling Stones. He has only released two solo albums over the years- this was the first one. He has some well known friends on the album- Dave Mason, Garth Hudson [Blondie also had a stint in The Band in the late 80’s} Ricky Fataar. Can You Hear Me, Be My Love, Lovely Traveler, Gimme More Rock N Roll- favorite cuts. 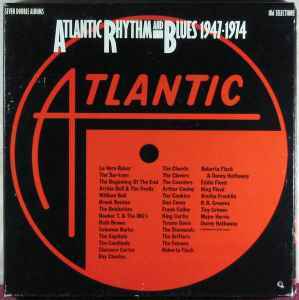 ATLANTIC RHYTHM AND BLUES: 1947-74: DISC 4: 1991: 5 STARS OUT OF 5 STARS: One of the best discs in the set- 1958-62 filled with well known- and outstanding hits- The Drifters, Ben E. King, Brother Ray Charles, The Coasters. THE GO GO’S-VACATION: 1982: 2 1/2 STARS OUT OF 5 STARS: The sophomore album-coming a year after the debut was kind of a let down after such a strong debut. The title track was a hit #8- but the other singles flopped and to be honest in listening to this album again- I don’t see any other hits on here- so it is no surprise. Trouble was already brewing in Go-Go land between the members and with drugs. None of the songs on this album other than Vacation- are memorable. OTIS REDDING: HISTORY OF OTIS REDDING: 1967: 4 STARS OUT OF 5 STARS: This was the first compilation album on Otis and it came out before his tragic death. 12 songs on a single album- like the Sam Cooke- best of that I listened to yesterday it is deducted a point because there are today much better alternatives. Nothing at all wrong with the dozen songs on here though. Otis was a great loss. THE WHO: THE WHO SELL OUT: 1967: 5 STARS OUT OF 5 STARS: The most underappreciated album by The Who. I love the fake commercials and public service announcements and the Radio London jingles between the songs. I’d rank this right behind Who’s Next as far as greatest Who albums. I Can See For Miles was one of The Who’s best singles- other favorites-Rael, Mary Anne With The Shaky Hand, Can’t Reach You and Silas Stingy. When I got the album it was packaged with A Quick One for the price of one. I call that a bargain- the best I ever had. THE WHO: A QUICK ONE: 1966: 4 1/2 STARS OUT OF 5 STARS: The Who’s second album- contains the hit Happy Jack. An odd album for The Who -in Pete Townshend doesn’t dominate the songwriting credits-he only wrote four of the ten songs but I must say aside from John Entwistie’s Boris The Spider and Whiskey Man-the best songs were the Pete written ones-Run, Run, Run, So Sad About Us and the 9 minute plus mini opera- A Quick One, While He’s Away. The Who Quick One… So Sad About Us is a great song that didn’t get played. The Rutles was great fun… I love those early- and kind of forgotten Who albums..